Recently one of my goals has been to stop neglecting my skin and start taking better care of it. So i've been trying to get myself into a proper morning and night time skincare routine. First step was making sure that I cleanse my face twice a day and gone are the days of going to bed with makeup on. Now I have been on the hunt for products that will help me to get rid of my acne scarring so I bought the Pixi Glow Tonic. I can honestly say it has completely changed the appearance of my skin. I've never used a skincare product before that has given such amazing results in just a couple of weeks. 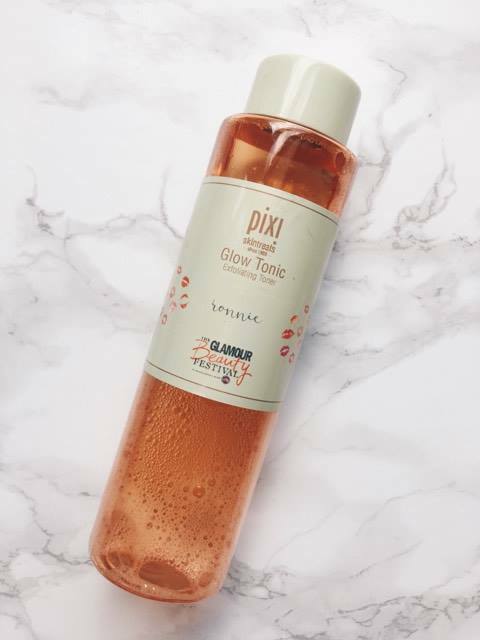 The Pixi Glow Tonic is an exfoliating facial toner that promises to gently exfoliate to remove dead skin cells, revealing healthier looking skin, and even out skintone for a, brighter, clearer complexion. Skin texture looks and feels smoother. Use morning and evening, after cleansing, to gradually diminish signs of sun damage, fine lines, scarring and other imperfections. I've been using this every night for 5 weeks and almost every morning too, the toner really lives up to it's promises! When you think of a product that is an exfoliating you expect it to be harsh on your skin but this toner is the complete opposite. It is gentle, it can make your skin a bit red if you really work it in, but it does not sting at all. Using this daily has helped to take away a lot of redness that my skin had before and has helped to fade some of my acne scarring. My skin defo looks brighter, clearer and it's given me more confidence as it's the best my skin has looked in years. One thing I did have to get used to was the smell of this product, I can't put my finger on what it smells like but it took me a couple of uses to not be bothered by the smell. So, a little breakdown of the main ingredients and what they do, the Glow Tonic consists of 5% Glycolic Acid. Aloe soothes and hydrates while ginseng improves circulation, energizes and promotes skin vibrancy. Witch hazel firms and tones while Horse Chestnut boosts blood flow to achieve a dewy radiance. When using this product you have to be careful because it can increase skin's sensitivity to the sun. So I skip using this product in the mornings if I know i'm gonna be outside when its sunny. Also using a SPF is a good idea to help protect skin from sun exposure. 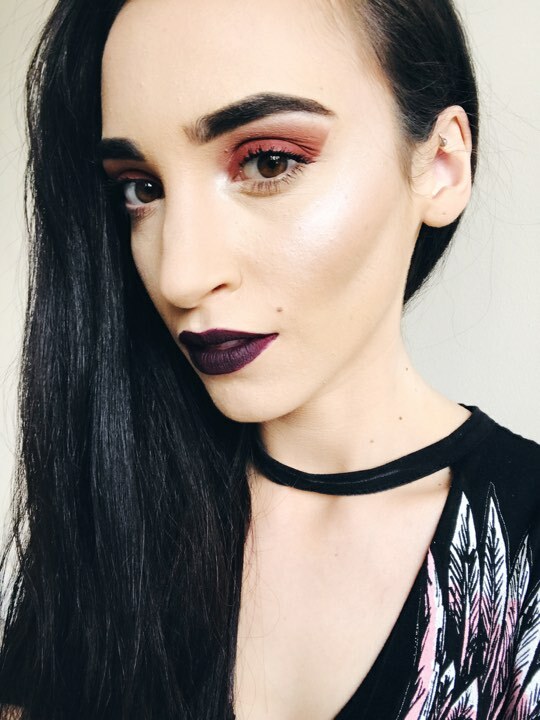 Pixi Glow Tonic is £18, cruelty free, and honestly worth every penny. I can see now why it is a cult product, it is really worth the hype and I really recommend everyone trying it out if you haven't already. I started seeing results after the 2-3 week mark. I'm really excited to see how great my skin will look once I finish the rest of this bottle. It's great looking in the mirror and seeing skin that isn't red and acne scarring that isn't as prominent. This is one of those products that I will continue to repurchase after I finished it because it's that good. Incase you were wondering I personalised the label when I went to the the Glamour Beauty Festival this year. Have you tried the Pixi Glow Tonic or got any recommendations for products that reduce acne scarring? Taking better care of my skin has been one of my goals lately too! I have barely tried any beauty brands/products until recently so I'm definitely into trying this one! I just posted my latest night-time favourite on the blog so I would love if you could share your thoughts! I've started using this toner recently and the smell does take time to get used to! But the product itself isn't harsh at all which I love. Great review! You don't know how many times I've walked into their store on carnaby street, looked at the price then decided against buying it. After reading your review think I'll take the plunge and buy it next time I'm there! I have really wanted to try this product for such a long time im just worried it would be too drying!